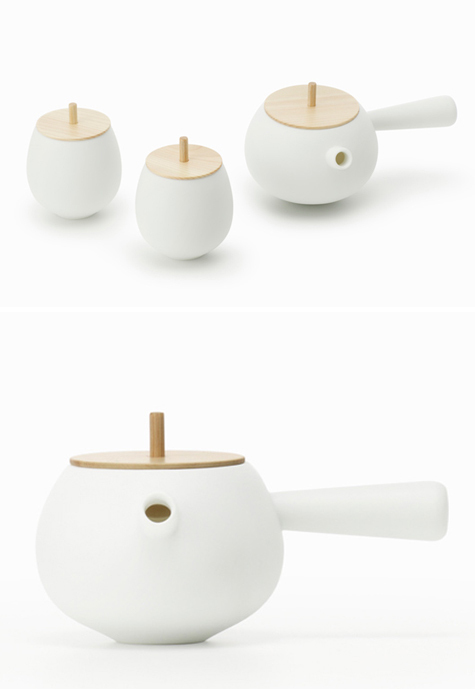 Top Tea Set by Nendo. The thick wooden lid provides good insulation to keep the tea warm, and its pointed centre condenses steam into liquid and directs it back into the teapot, rather dripping down the sides. The lid becomes a top!